This feature made it quickly from technical preview into production and very welcome it is too. 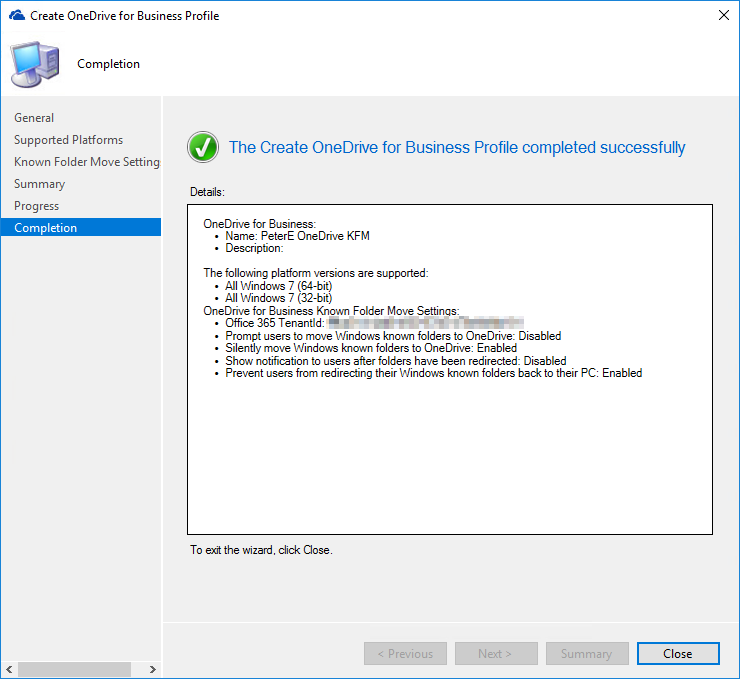 We can now redirect known folders to Microsoft OneDrive though a Configuration Manager policy. This is included under Assets and Compliance > Compliance Settings. 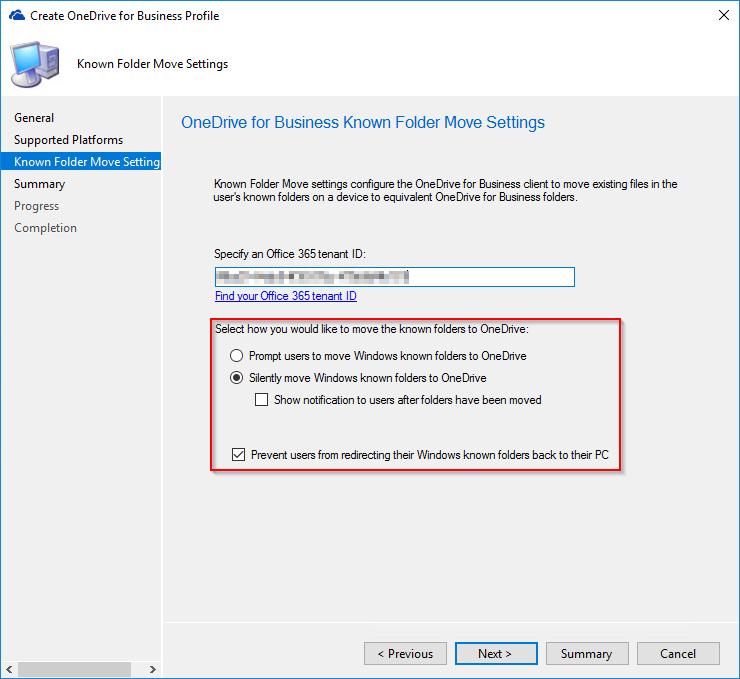 I have found known folder move to be very popular and helpful for organisations who are upgrading from Windows 7 to Windows 10 and need to do some data migration at the end user device before making the jump to Windows 10. 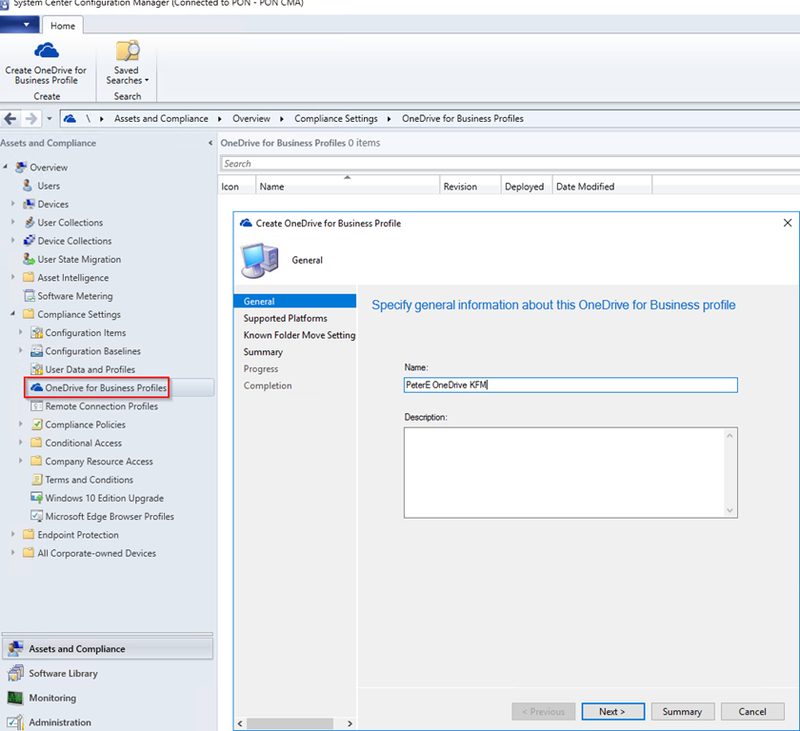 Now we have the flexibility to configure this from within Configuration Manager as well as using the traditional GPO configurations. We can configure multiple profile if required and choose which operating system our profile applies to. Now we need to set our Office 365 tenant ID, this can be found in the properties of your Azure Active Directory as the Directory ID. 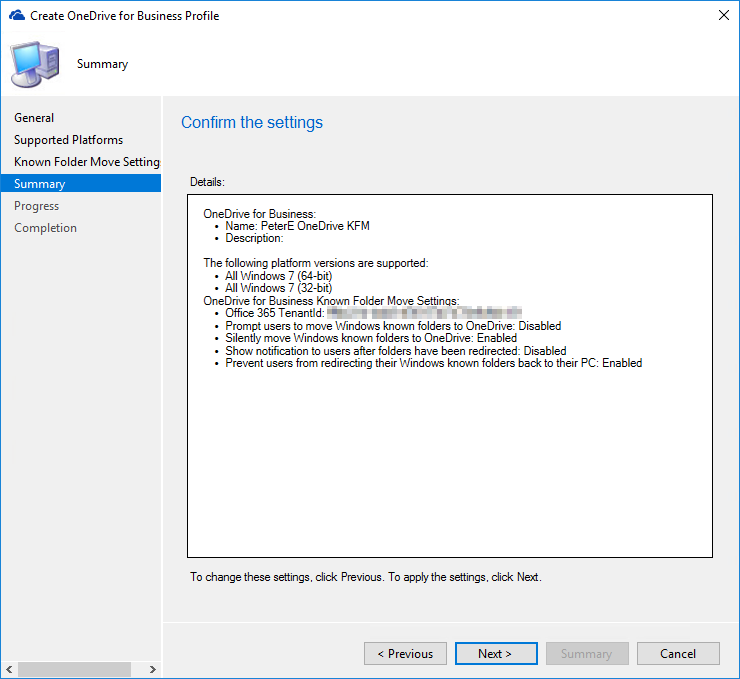 We also have options as in group policy to set whether we prefer the users to be prompted to redirect files or automatically do the redirection. You may also require that the user cannot undo the changes you are making by reversing the redirection. Once the profile has been created, we need to deploy the profile accordingly and note the extra options for compliance alerts and the regularity of the compliance check. 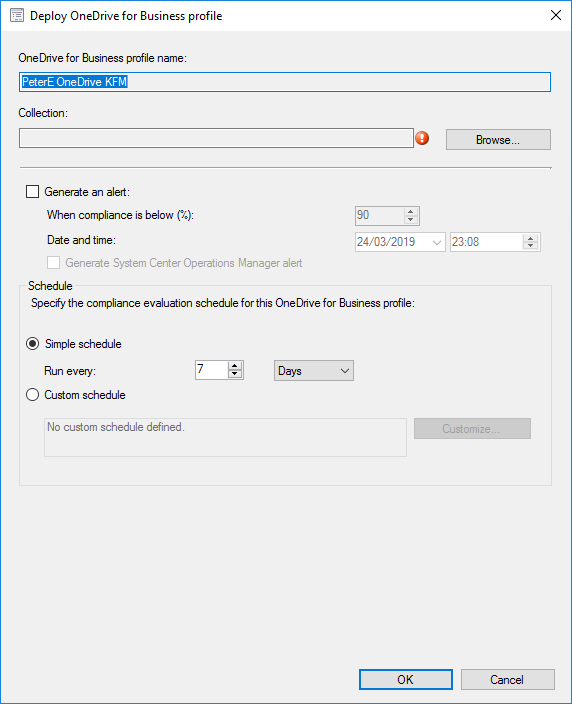 Microsoft are driving forward their push to get organisations on board with Office 365 by adding Office analytics into Configuration Manager. Through the existing Office 365 dashboard, Microsoft have added a tile for “Office 365 ProPlus Upgrade Readiness” which is very handy to have this and Windows Upgrade Readiness all in the same console. 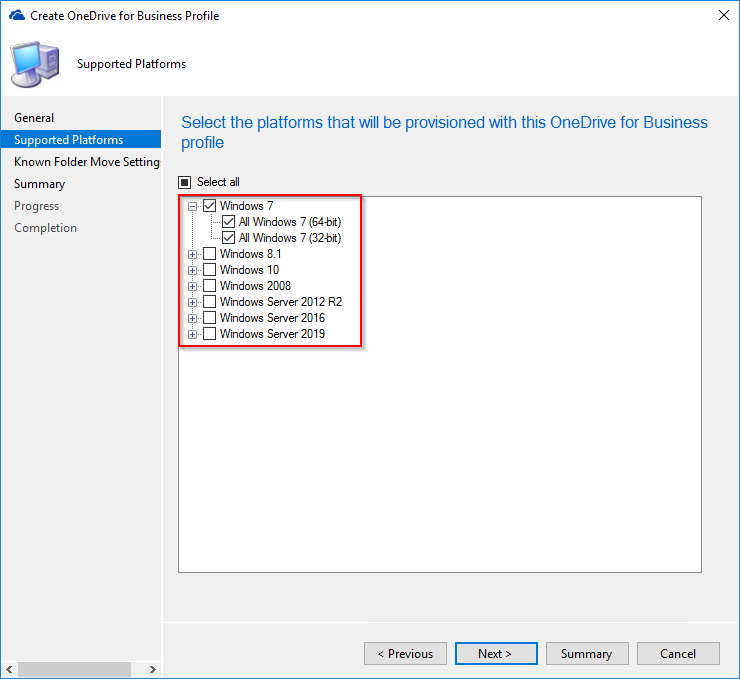 This makes a more complete offering for upgrading your Windows and Office installation ongoing. The product lifecycle dashboard in Configuration Manager (Assets and Compliance > Asset Intelligence) now also includes Microsoft Office versions from 2003 to 2016. 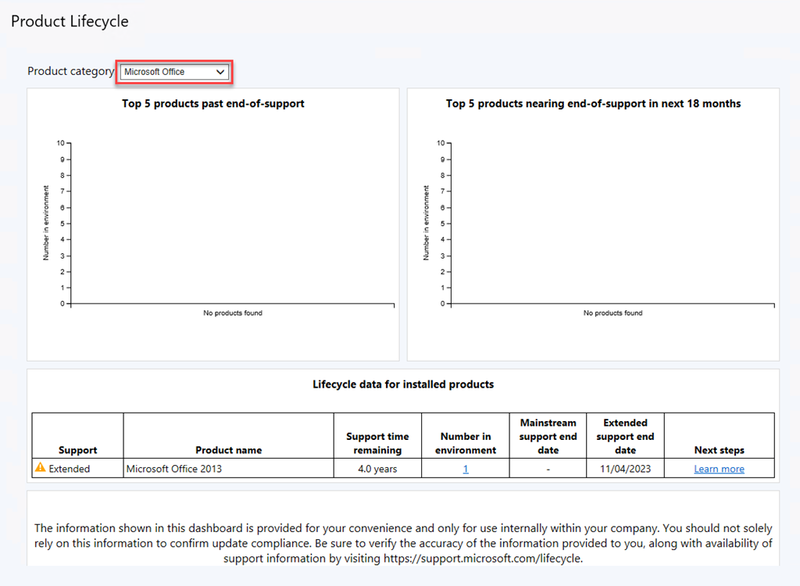 Note that this dashboard only updates once every 24 hours whenever the lifecycle summarisation task runs.